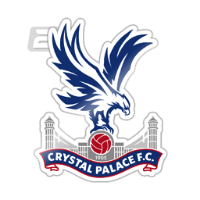 The Eagles looked set to secure an important victory after Wilfried Zaha's first-half strike, however a late equaliser from James Ward-Prowse earned the Saints a point. 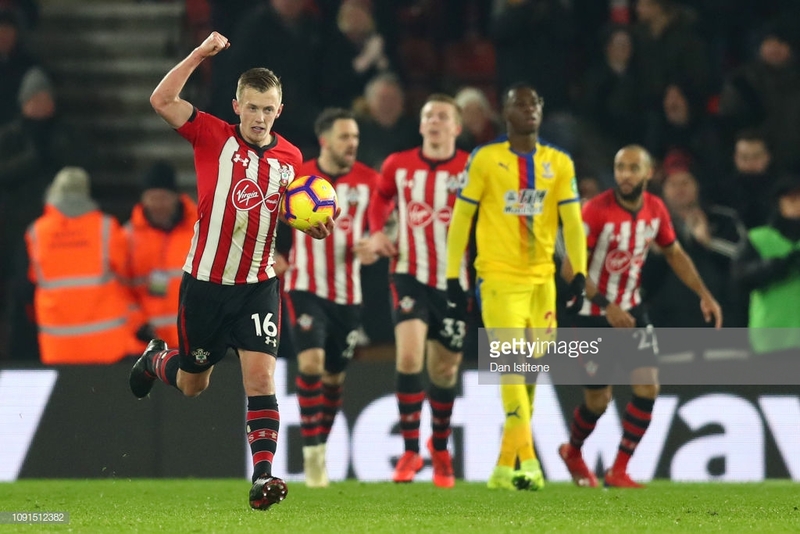 In a match which bore heavy significance in this season’s Premier League relegation scrap, the points were shared as Southampton and Crystal Palace scored a goal apiece. Wilfried Zaha opened the scoring on the brink of half-time, his low effort giving the away side the lead at the break. However, a 77th minute equaliser from midfielder and converted wing-back James Ward-Prowse rescued a point for the hosts. The result sees both teams climb a position in the league table, to 15th and 16th respectively, with Palace’s superior goal difference separating them from the Saints and Burnley just outside the relegation zone. There was high-tempo football right from the start at St Mary’s — both teams were guilty of wayward passes and reckless flying tackles, though the referee, Andre Marriner, didn’t reach into his pocket to book a player until Luka Milivojevic was penalised for a nasty tackle on Oriol Remeu in the 35th minute. With 10 minutes on the clock, a scintillating break from the Eagles released Zaha down the left flank, though the Ivorian was superbly tackled by teenage full-back Yan Valery. Not long after, Zaha played a long-range one-two with James MacArthur who blazed the ball over the bar from the edge of the box. The high tempo continued as Jordan Ayew was dispossessed in the attack third — Southampton counter-attacked in numbers and Matt Targett crossed for Pierre-Emile Højbjerg in the area, though the Danish midfielder could only head wide of Vicente Guaita’s goal. Palace’s breakthrough came with just five minutes of first-half football left to play. A powerful driven effort from Patrick van Aanholt seemed to fall kindly for Cheikhou Kouyaté, one-on-one with Saints goalkeeper Alex McCarthy, however the ball rebounded off his back foot. Possession was recycled by the Eagles and Andros Townsend eventually teed up Zaha who fired inside the near post to give his side the advantage. A goal to the good, Roy Hodgson’s side ended the first period with a swagger, setting up a good opportunity for Zaha to notch his second while Kouyaté also had a chance to score. However, the deficit remained at just one goal heading into the second-half. Moments after play was resumed, a vicious free-kick from Targett was flicked on by Danny Ings, but the ball narrowly evaded the bombarding run of Jannik Vestergaard. Two minutes later, Ings wriggled his way into the Palace box and opened up space for a left-footed shot, though it was an easy save for Guaita. The Eagles thought they’d extended their lead when they had the ball in McCarthy’s net after a corner situation, however the play was brought back for a foul on the English stopper. A decision which, in hindsight, looked rather soft. 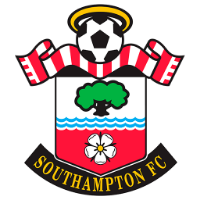 After a spell of dominance from Palace, Southampton edged themselves back into the game, with forward Nathan Redmond looking particularly lively in attacking areas for the Saints. It wouldn’t take long for the Eagles to grow to regret their prior missed opportunities. Hogdson’s side had another glaring opportunity to put the game to bed when Ayew nicked the ball off Jan Bednarek. The Ghanaian forward neglected Zaha, who was in acres of space on the opposing flank to run through on goal, and instead decided to dribble his way forwards, eventually losing out to a recovery challenge from Bednarek. The Polish defender passed the ball into the midfield, and intricate interplay from the hosts sent Targett down the left side of the Palace box. The wing-back caressed the ball across goal for Ward-Prowse, now occupying the other wide role for Southampton, to fire home — his third goal in as many games. Chants of 'when the Saints go marching in' erupted around St Mary’s. The home crowed had also encouraged a switch of play to Ward-Prowse in the buildup to the equaliser. With the scores now even, both sides had chances to grab the decisive goal. A curled effort from Stuart Armstrong produced a fantastic save from Guaita, and, two minutes later, a free header for Mamadou Sakho from five yards out flashed over the bar, much to the relief of a passive Saints defence. The game ended on a sour note as Zaha, who had been pivotal to Palace’s play all game long, was sent off on 87 minutes. The Ivorian was booked by Marriner for an altercation with fellow goalscorer Ward-Prowse, and was then almost instantaneously shown a second yellow card for dissent towards the referee. Although both Southampton and Palace have climbed the table, this will go down as a poor result in both camps as either manager will be wary of the intensifying relegation dogfight taking place at the foot of the 20 Premier League teams. Ralph Hasenhüttl has certainly brought vibrance back to the St Mary’s crowd in conjunction with an upturn in results, though the Saints still only hold an agonising four-point gap between them and the dreaded territory of the bottom three. The same is true for Palace who, without a freak result at the Etihad in December, would be far worse off than they currently are. It was an eye-catching performance from Palace’s talisman and attacking focal point, Zaha — while he was on he pitch, at least. The Ivorian took his goal impeccably well and was at the heart of an often effervescent and innovative Palace attack. His efforts down the left flank were complemented well by the equally effective Townsend on the opposite side. As such, it was a shame to see a largely successful day for Zaha torn into tatters in the closing stages as the tricky winger was dismissed for dissent. Palace host Fulham on Saturday; the Cottagers came from behind to beat Brighton & Hove Albion in a thrilling encounter on Tuesday. Meanwhile, Southampton visit Burnley in another crucial tie at the bottom of the table.